Time appears to be running out for Mahmoud Abbas and Fatah as Hamas looks to gain complete control of the Palestinian Authority once Abbas is no longer in power. The chances of a new major peace deal have been slipping away for years despite Mahmoud Abbas’s dedication towards peace. Shimon Peres once said that Abbas was “an outstanding man who really does want to commit to peace.” He had also said that Abbas is “the best partner Israel has ever had.” But tragedy is never far from events in the Middle East. When it comes to finding a greater peace between Palestinians and Israel, one opportunity after another is frustratingly lost. Now, Shimon Peres is no longer alive, and Mahmoud Abbas’s power has been eroded, and at age 82, he is in the twilight of his life too. Abbas was heavily criticized for his views, but he won support of those who believed Israel was an enemy who would compromise instead of an enemy that could only be destroyed. Mahmoud Abbas rose through the ranks to be the PLO’s top negotiator. He oversaw and was a key decision maker in the breakthrough 1992 talks that became known as the Oslo Accords. He played such a major role in fact, that he felt to some degree burned for not also receiving the Nobel Peace Prize for the breakthrough agreement as Yassir Arafat, Shimon Peres, and Yitzhak Rabin had. It would not be the last time Abbas was overshadowed by Arafat. But as is triumph and turmoil in the Middle East, the situation with Israel would deteriorate under Arafat into violence. By the start of the new millennia Yassir Arafat had started what became known as the Second Intifada which saw 700 Israeli citizens and almost 3,000 Palestinians killed. Mahmoud Abbas was openly against the Intifada and the terrorist tactics used by Palestinians. By 2002, as the second highest ranking person in the Palestinian movement he questioned the wisdom of the Intifada, “What have we achieved? What positive or negative aims have we accomplished?” He warned that the Palestinians would lose everything they had gained during the Oslo Accords. “What happened over these two years,” Abbas said, “has been the total destruction of all we have built and all that had been built before that.” When Israel used its military to take back control of the cities gained at Oslo, Abbas was proven right and had solidified his image inside and outside of the PLO as the anti-Arafat. When it came to the Second Intifada, Arafat has overplayed his hand badly and found his credibility had completely eroded. International pressure forced him to make Mahmoud Abbas his prime minister in 2003, a position Arafat completely undermined and after only six months in office, Abbas resigned. Arafat, however, would die in 2004 and for the first time in more than three decades Palestinians would have a new leader. That new leader was Abbas who took Arafat’s place until elections could be held. Those elections were held in 2005. Abbas won that election and solidified his place among the Palestinians. With his record of being the anti-Arafat and his clear history of working towards peace, he gave the Middle East and the world hope that there could be a breakthrough in the peace process. However, that hope was dashed in 2006. The terrorist organization, Hamas, surprised Israel and the world by trouncing Abbas’s Fatah party and gaining a majority in that year’s parliamentary elections. 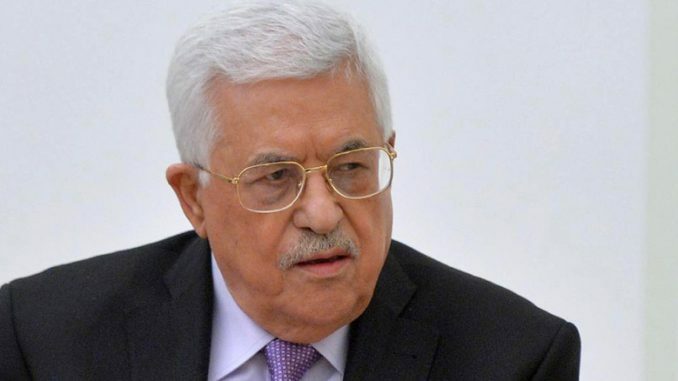 Yet again, Abbas found himself undercut. Hamas worked successfully to undercut Abbas, and even worked to have him assassinated by plotting to blow up his motorcade. In the Summer of 2007, Hamas took over Gaza, which further isolated Abbas. Despite Abbas’s power struggles, Israeli Prime Minister Ehud Olmert tried new rounds of peace talks but they floundered. Abbas was ridged and weary of compromise with Hamas breathing down his neck, and Olmert was facing corruption charges making his attempts at peace look desperate. By the time Benjamin Netanyahu became Israeli Prime Minister, any talks seemed unlikely to produce results. Netanyahu on the one side had and still has a base of support that would make compromise extremely difficult and unlikely, especially with his intransigence on building settlements on disputed land. Mahmoud Abbas on the other side, was being held a political hostage by Hamas. To bypass Netanyahu and to gain political support from Hamas, Abbas implemented the strategy of internationalization in what was called the “Palestine 194” project. The goal was simple, to get the international community to recognize the Palestinian state and become the 194th member of the United Nations. This would give Palestine a greater legitimacy. While Abbas failed to gain the Palestinian Authority a seat at the United Nations, he did gain recognition and full membership of UNESCO (United Nations Educational, Scientific and Cultural Organization). Domestically, the 194 campaign gave Abbas near unanimous political support. Abbas now seems to prefer the internationalization strategy instead of negotiating with Netanyahu. When President Barack Obama injected himself into the peace process, Abbas ignored the new proposals. Abbas instead took the safer route to continue to gain support domestically by his internationalization process. But, despite his age, Abbas is still in power, and his internationalization efforts have garnered him some room to maneuver in any possible peace deal even though Hamas is still firmly in control. It would be an error to dismiss Mahmoud Abbas as too weak to make a deal, or a has-been.